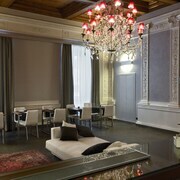 Golden Rooms is in the heart of Rome, walking distance from Palazzo Barberini and Caffe Greco. 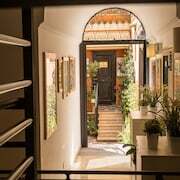 This townhouse accommodation is within close proximity of Piazza di Spagna and Trevi Fountain. 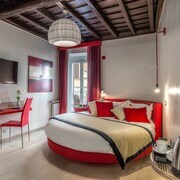 Make yourself at home in one of the 5 individually furnished guestrooms, featuring refrigerators and espresso makers. Your bed comes with down comforters and Egyptian cotton sheets. Rooms have private balconies. Complimentary wireless Internet access keeps you connected, and digital programming is available for your entertainment. Private bathrooms with bathtubs or showers feature rainfall showerheads and bidets.